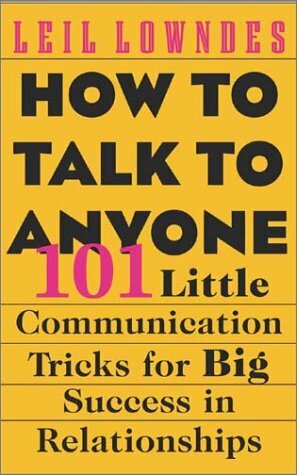 From the author of 'How To Make Anyone Fall In Love With You', this book is an informative and witty guide to relationships, body language and how we relate to each other. It contains usable and intelligent strategies, for friendship and business. Leil Lowndes is a sought-after communication speaker and consultant. Her books have sold in at least ten countries and include the international bestseller How to Talk to Anyone.